Belarusian human rights activist Valery Shchukin admits it's hard, if not impossible, to control him. MINSK -- The best days of his life were the 10 months he spent serving as a deputy in the 13th Belarusian Supreme Soviet. The worst was when the authorities forcefully shaved off his famous beard while he was serving a sentence in Zhodzina prison, near Minsk. Inmates of the Belarusian detention center on Akrestsina Street owe him a debt of gratitude for the spoons they use to eat and for the partitions between toilets in their cells. The roles he has played in his life have been manifold, at times incongruent. Twenty-five years of service in the Belarusian military. Captain second rank in the reserves. Tractor driver. Communist expelled from his party. Opposition journalist. Political prisoner. Human rights defender. Doting grandfather. Homeless man. Beefy and balding, 66-year-old Valery Shchukin is a legend in the Belarusian opposition movement. He has been arrested, fined, beaten, and imprisoned perhaps more than any other Belarusian activist. That's no small feat considering the number of activists and opposition supporters routinely arrested and jailed in Belarus, ruled by authoritarian President Alyaksandr Lukashenka and widely referred to as Europe's last dictatorship. 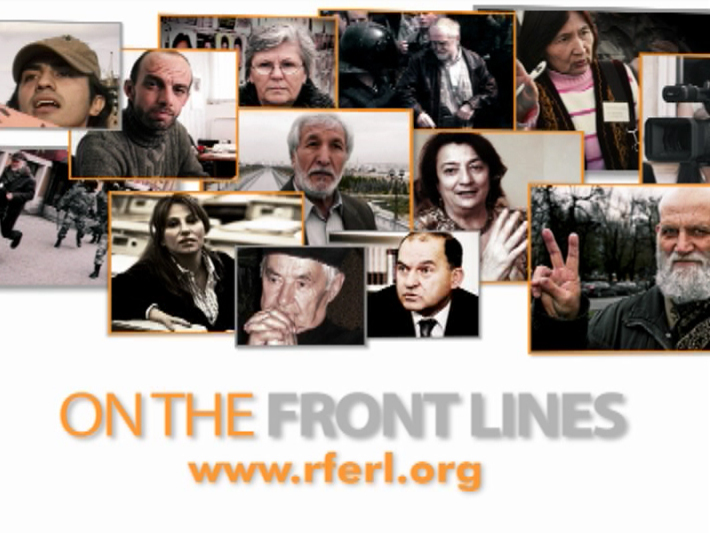 In its 2007 "Nations in Transit" report, Freedom House said Lukashenka's regime "exercises near complete political, social, and economic control over the population" and "represses political alternatives, persecutes independent press, and punishes unauthorized social activism." Shchukin has been publicly calling for Lukashenka's impeachment since 1996. He's been paying the price ever since. Shchukin's most recent brush with the law was in November 2007. He was tried on charges of defaming the honor and dignity of members of district and regional election commissions by distributing fliers claiming they had falsified the results of local elections. He was fined approximately 1 million rubles, or around $500. "At first, he gave the impression of being a comedian," recalls Ludmila Hryaznova, who served as a deputy with Shchukin as a deputy in the Supreme Soviet. She recalls the sessions when he came dressed in a traditional Belarusian folk shirt, vociferously protesting against Polish-made mustard. The parliamentary canteen, he insisted, needed to offer domestic products. "He was one of the most active deputies, but it was difficult to understand his ideology," she says. "Later, a transformation took place, and Shchukin became one of the bravest opponents of Alyaksandr Lukashenka. This popular spirit held him for many years and made him a national hero. Although Shchukin lacks any high titles or status, he's straight from the ranks of self-sacrificing, genuinely popular heroes." I first met Valery Shchukin in the winter of 1997. He was protesting along the main thoroughfare in the Belarusian capital, Minsk, a white cloth bearing the words "No To The Closing Of 'Svaboda'" attached to his black overcoat. In its two years of existence, "Svaboda," considered a nationalist anticommunist newspaper, had received three official warnings from the Ministry of Information related to the publication of articles critical of the government. "Svaboda" would eventually be shut down, the first popular independent newspaper to be closed under Lukashenka's regime. 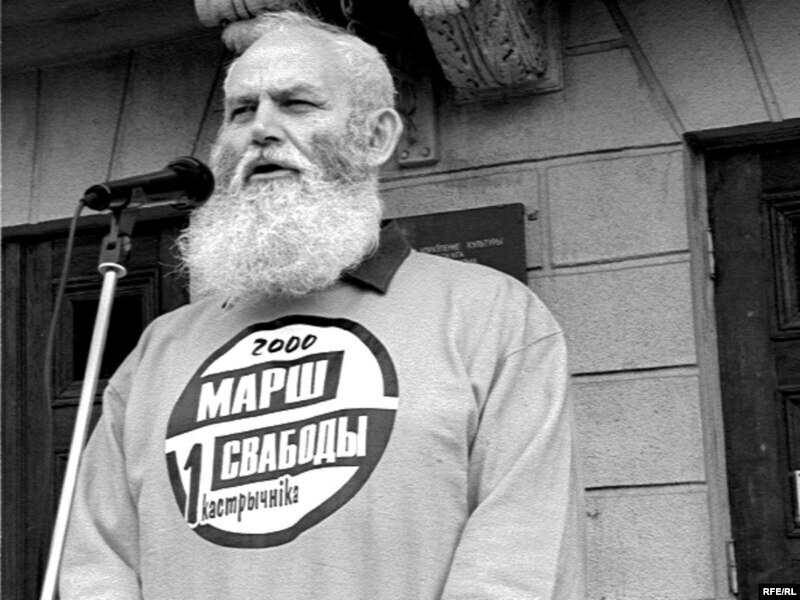 Valery Shchukin speaks at an opposition rally in Minsk in 2000. "How 'Comrade' Defended 'Svaboda'." That was the headline I gave to a short report I wrote about Shchukin for the independent newspaper "Narodnaya volya." Shchukin was eventually expelled from the Communist Party for "failing to carry out the decisions of the party." Shchukin admits it's hard, if not impossible, to control him. "I have an artistic nature. I can't work under orders," Shchukin says. "For this reason it was very hard for me in the army. Out of 25 years of military service, it took me 15 before I got used to it." Syarhey Kalyakin, leader of the Belarusian Communist Party, calls Shchukin a "very brave man" who "acts as he deems necessary, and this sometimes hurts the cause, as well as Shchukin himself. His expulsion from the party is an example. He simply decided to disobey the party's decisions. He's a self-made man." Aleh Alkayeu is a former warden at the death-row prison on Valadarskaha Street in Minsk. He first met Shchukin in 1999, when Shchukin was imprisoned along with another opposition politician, Mikalay Statkevich, after the opposition March of Freedom. The protest turned ugly when clashes erupted between demonstrators and police. Shchukin and Statkevich were deemed to have organized the event. 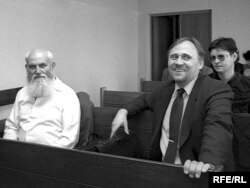 Shchukin (left) and opposition politician Mikalay Statkevich in court in April 2000 on charges of having organized the 1999 March of Freedom in Minsk. Both men were sent to prison. Alkayeu, who fled Belarus and now lives in Germany, says his talks with Shchukin convinced him that something was wrong with the country. "I absolutely forbade anyone from bothering him. This prison is a closed space, where everyone knows how the warden treats anyone," Alkayeu says. "On the first day, I invited him to the investigator's office and offered him salted lard and tea. He accepted. He sat there, ate lard, drank tea, and then they brought a note from the Helsinki Committee saying that Shchukin's being tortured in prison. We even laughed at that." Shchukin didn't spend much time in the prison on Valadarskaha Street -- just 13 days. After being freed, he brought his former cellmates food parcels. "It was interesting to talk with him," Alkayeu says. "A very pleasant, smart, and above all principled man, which is a rare trait among politicians. Here's a man who lives for his ideals, and I respect such people. Even now he lives as modestly, almost impoverished, as he did back then. He didn't gain anything. Only his beard grew out." Shchukin's prison record includes several dozen arrests and three convictions. In 2001, he spent three months in Zhodzina prison for attempting to enter a news conference being held by Interior Minister Uladzimir Navumau. Shchukin went to the conference with "Narodnaya volya" journalist Maryna Koktysh. They wanted to ask Navumau about missing politicians. The problem was, they hadn't been invited. 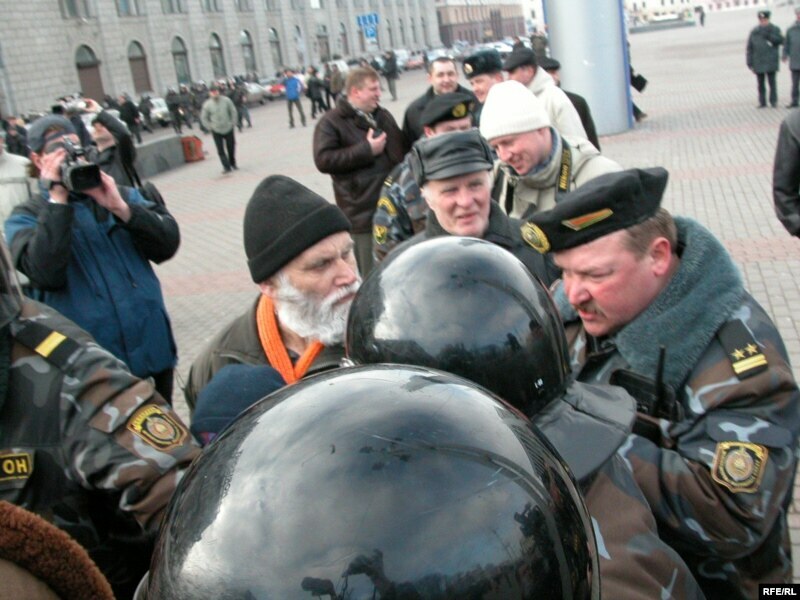 Police arrest Shchukin at an opposition rally in October Square in Minsk in 2005. Koktysh recalls it was only thanks to Shchukin that she was able to get into the news conference in the Interior Ministry building. "He drew all attention to himself," Koktysh says. "When he was stopped, he broke a glass door in the ministry, and when the brawl started and all the policemen jumped on him, I ran inside to the conference." "I got what I wanted," Shchukin says. "The minister hasn't tried to do that again." "The minister no longer holds news conferences?" I ask. "At least he hasn't held them in the Interior Ministry anymore," Shchukin replies. "So I didn't go to prison for nothing." 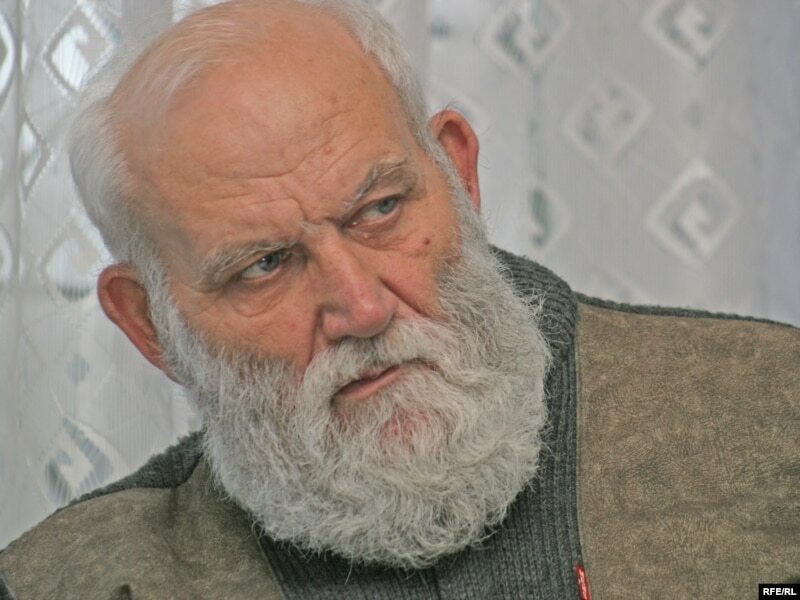 From all the time he has spent in prison, Shchukin most clearly remembers one particular day in Zhodzina -- the day they forcibly shaved off his beard. 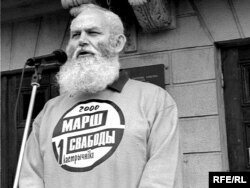 In 2001, Belarusian authorities shaved off Shchukin's trademark beard, as a sort of psychological punishment. "Do you remember Old Khatabych from the fairytale? All his strength came from his beard," Shchukin tells me. "Apparently, they thought I also have all my strength in mine. So they sat me down. On my left side a thug, on the right, another, and in front a prisoner with a blunt razor. "They said that if I struggled, they'd beat me with batons. And when I told them that this didn't scare me, they said they'd give me a dry shave. Now, that put me close to tears. I have very rough stubble. To be honest, that's one of the reasons why I grew a beard. I've had trouble with it my whole life. And when I heard they were going to give me a dry shave, I told that prisoner: 'All right, obey the command. I will hold no grudge against you.'" Alkayeu, the former warden at Valadarskaha, believes the guards had no right to shave Shchukin's beard. "That act will hang on the conscience of that warden who tried to please his superiors," Alkayeu says. "What did that beard do to anyone? It was Shchukin's symbol." I'm standing before the courthouse in Minsk to which they should be bringing Shchukin, film director Yury Khashchavatski, and other people arrested on charges of "hooliganism" during an opposition street rally organized under the slogan: "It's Impossible To Go On Living This Way!" The bus drives over and stops, but they don't let the prisoners out. It's a hot day, and everyone knows the prisoners are finding it difficult to breathe inside the police vehicle. Khashchavatski received 10 days in jail and Shchukin 15 days. They were put in the same cell, in the prison on Akrestsina Street. Khashchavatski says all current and future prisoners there should be grateful to Shchukin, for it's thanks to him that they have spoons to eat with and partitioned toilets in the cells, as well as water taps, so that they don't have to wash in the toilet. This is Shchukin's achievement, by filing numerous complaints, issuing statements, and writing articles. Khashchavatski fondly recalls the 10 days he spent in jail with Shchukin. "He's a very considerate man," Khashchavatski says. "When you need someone to talk to, he's right there. When you want to be alone, it's as if he wasn't there. This is a very important thing in prison. There, like in outer space, there's a problem of interpersonal contact. Valery Alyakseyevich could make you comfortable whether in jail or in space." 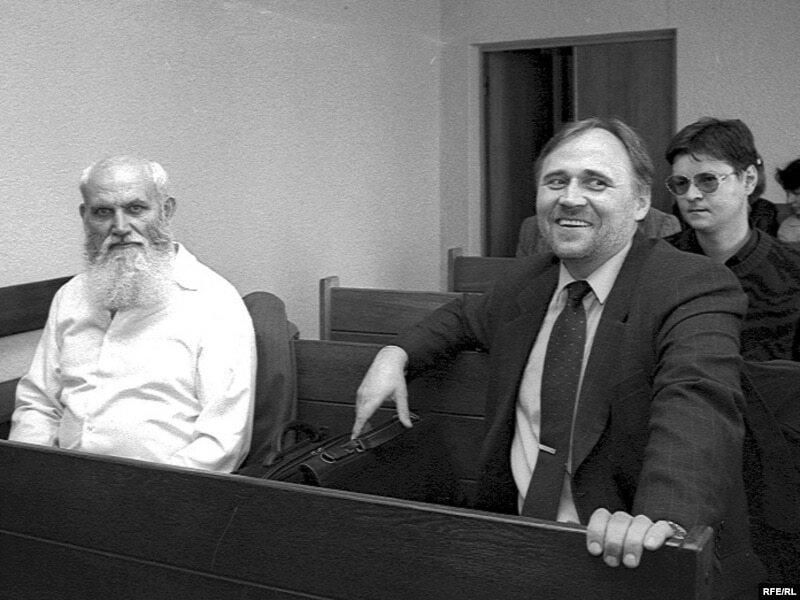 While in jail, Shchukin and Khashchavatski delivered lectures to other inmates. Khashchavatski taught history and the art of documentary film, while Shchukin talked about international norms of treating prisoners and world standards for protecting their rights. 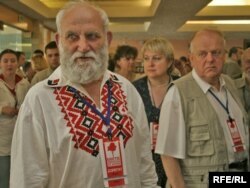 Following a decision by the Belarusian Communist Party, Shchukin ran for a parliamentary seat in Polatsk. After he was elected, Shchukin made a rare move for most deputies. Instead of going to the capital and taking residence in a stylish apartment in the city center, Shchukin went to Polatsk, to live among his voters. 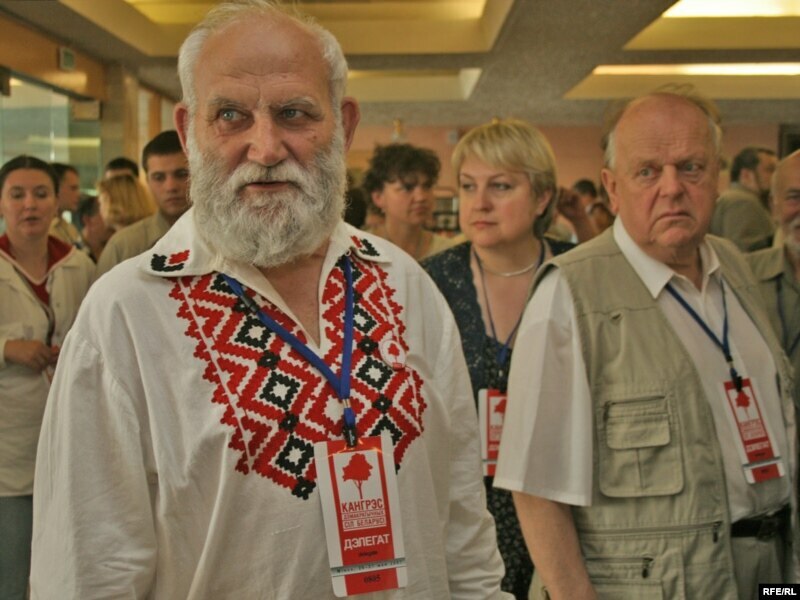 Shchukin, dressed in a traditional Belarusian folk shirt, as a delegate to a congress of democratic forces in Belarus in May 2007. 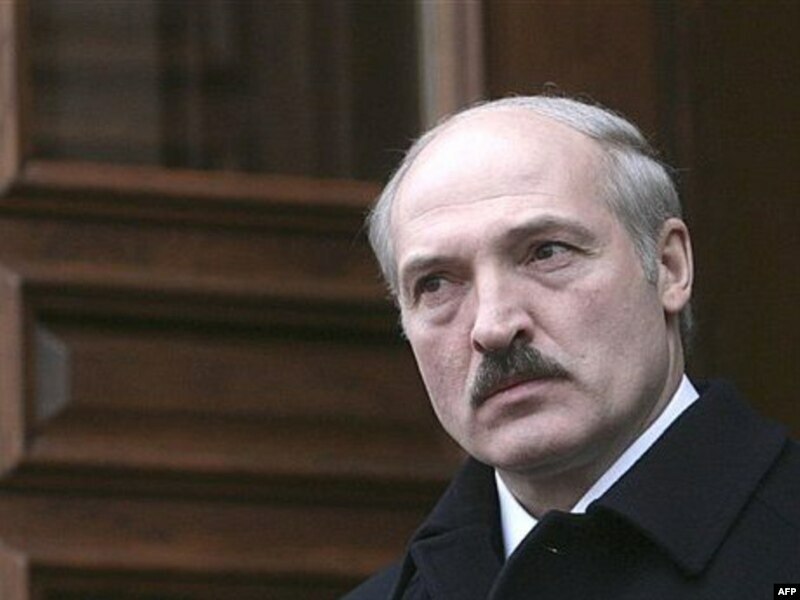 There, he was given a room in a hostel, where he lived until Lukashenka disbanded the 13th Belarusian Supreme Soviet in November 1996, after it attempted to initiate impeachment proceedings against him. 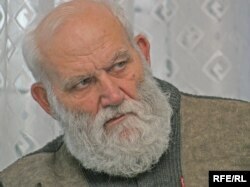 In 2003, when he decided to run for a seat on the Polatsk city council, local authorities stripped him of his lodging and his registration, on the grounds that he had spent too much time in Minsk. After that, Shchukin started spending his nights in train stations. First in Polatsk, then in Vitsebsk, in northern Belarus. "He could find shelter, but he's a man of principle," says Pavel Levinau, Shchukin's friend from the Vitsebsk branch of the Belarusian Helsinki Committee. "I tell him: 'Valery, enough proving you're right. You're too old for this.' But no matter who offers him shelter, he'll go to the station, take his place, and sleep there." Valery Shchukin has one son and one daughter, as well as seven grandchildren. When not bedding down at the train station, he sometimes sleeps at his children's homes. His wife, Lempi, died in April 2007 at age 70. Shchukin says she was "distressed" by his activities. "I think this is one of the reasons why she's now in her grave," he says. At age 12, his eldest granddaughter, Zhenya, started accompanying her grandfather to rallies. If her mother wouldn't let her, Zhenya would figure something out herself, and then run to meet her grandfather in the "Narodnaya volya" office. She's been arrested along with her grandfather more than once. 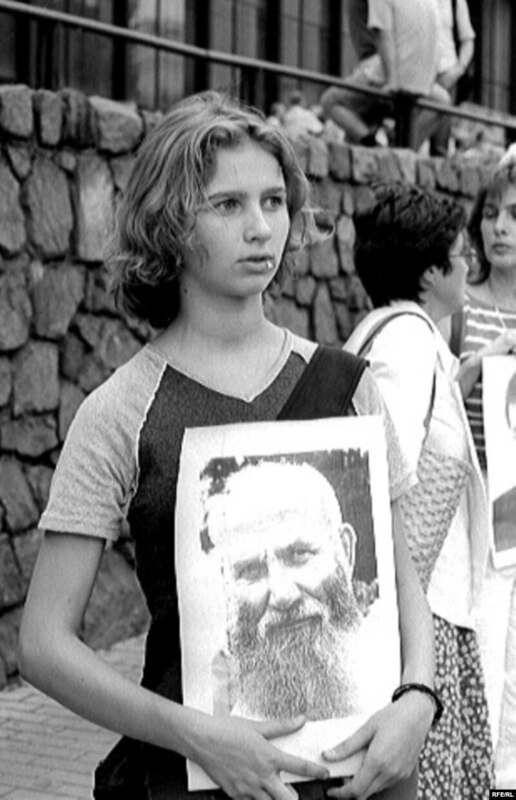 Shchukin's granddaughter Zhenya protests the arrest of her grandfather in front of the presidential administration building in Minsk in 2001. Zhenya is studying nuclear physics at the Czech Technical University in Prague. Sitting around the kitchen table in her mother's small, Khrushchev-era apartment in Minsk during a break from classes, Zhenya recalls how she accompanied her grandfather to freedom marches when she was a little girl, how they'd both get arrested by police, and how her grandfather gave her a dozen books about law for her birthday. He wanted her to become a lawyer. "Grandpa is my hero. I was with him my whole life," she says. "True, I don't completely agree with him. Nevertheless, this is how I believe true men should act." Today, you can usually find Valery Shchukin in Vitsebsk, the regional center, keeping an eye on proceedings at the courthouse. Though he doesn't have a journalism degree, he writes for several independent newspapers and is a member of the Belarusian Association of Journalists, as well as the Belarusian Helsinki Committee. He lives on his military pension. As for opposition rallies, Shchukin still attends them, but no longer walks in the first row, not since Independence Day 2005, when he was severely beaten by a special task force officer. "Some senior lieutenant swept my legs out from under me, like they do in a soccer game, and I fell immediately," Shchukin remembers. "I tried to get up, but I realized that I didn't have enough strength for that. During earlier rallies, I'd always get up and keep going. It used to be that I protected my grandchildren from being crushed. Now however, I can't walk in the first rank anymore." About "On The Front Lines"
Favorite books or authors? "How The Steel Was Tempered" by Nikolai Ostrovsky. Also Jack London and O'Henry. Which living person do you most despise? I don't like dishonest people, those who first say one thing and then something completely different. Their best-known representative is Alyaksandr Lukashenka. Where do you see yourself in 10 years? As the president's adviser. How do you relax? What are your hobbies? I've never known how to rest, but I relax among my children and grandchildren. Listening to children babble is the best rest for me. As for a hobby, I'm at war, and at war there's no time for hobbies. What is your biggest fear? I no longer fear anything -- neither prison, nor death. What is your worst vice or extravagance? I don't care about my clothing or food, nor my overall appearance, which is, of course, wrong. Almost all my teeth have fallen out. I could have gotten a set made, but you could say I gave up on it. I don't care for my health. Unless I'm falling over, I won't go to the doctor. What was the best day of your life? When I became a father. What would be people be surprised to know about you? I'm completely open. Everything about me is known. I hide nothing about myself from other people. Everyone knows I never change. What is your greatest regret? That I didn't apply myself in school, that it's hard for me to write in Belarusian. That for the last 15 years I've read so few books, since I had no time. What has been your greatest achievement or accomplishment? I'm known throughout Belarus through my work as a journalist, a politician, and a deputy. And that, without appearing on radio or television. I'm proud of that. What is your idea of perfect happiness? Absolute happiness is only possible in paradise, but I don't like the idea of paradise. Man should suffer, struggle. For me, happiness is found in the fight. I don't want to die in bed.